It's like a walk-in infomercial on London's Oxford Street. If there's one thing Dyson knows best, it's hoovers. 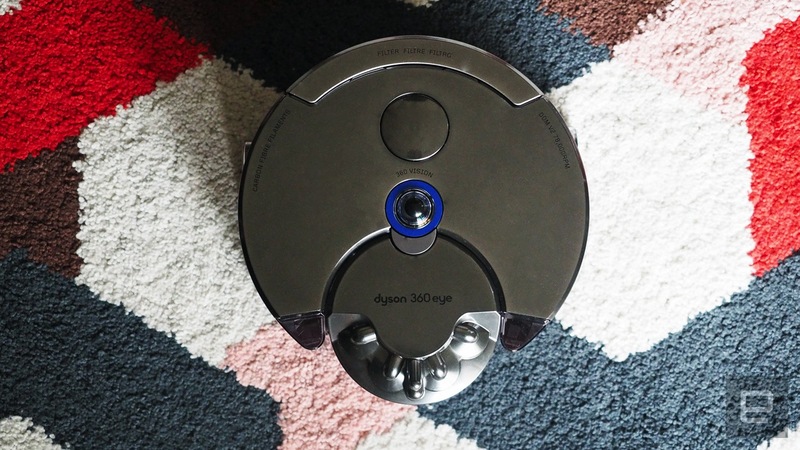 And while the company may've been late to making a little robot that does the cleaning for you, Dyson's 360 Eye is easily one of the best you can buy. Now, after debuting in Japan late last year, the vacuuming automaton is available in the UK from today. Features such as a 360-degree camera, obsessive cleaning methodology and activity reports don't come cheap, though. The 360 Eye can be found on Dyson's site for £800, and that price also includes a nice company rep that'll pop over and set the thing up for you. 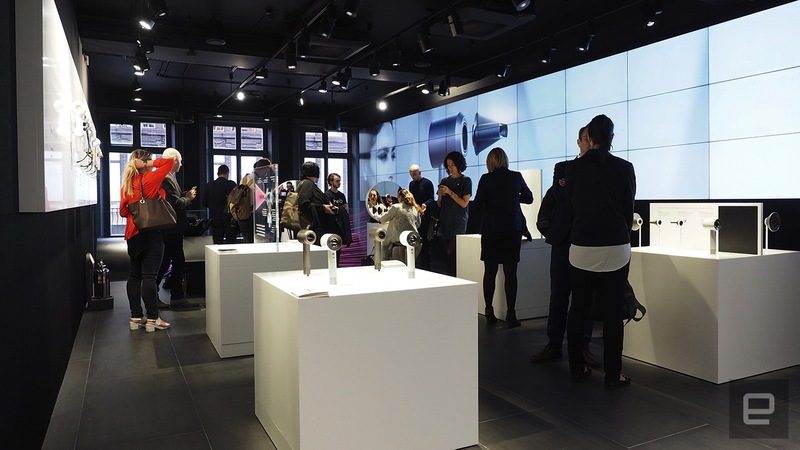 Alternatively, you can get the measure of one at Dyson's new "Demo" store in London, which not-so-coincidentally opens its doors today. The first of these interactive spaces debuted in Paris way back in 1999. Over the past couple of years, though, they've come to Tokyo, Jakarta, and now London's shopping-mad Oxford Street. The best way I can describe it is like walking into a fancy infomercial. Products sit on white plinths, illuminated by swish LED spotlights developed by Jake Dyson, son of company frontman James. His lamps are showcased alongside hoovers and fanless fans, with wall-sized screens playing 30-second loops of Dyson adverts. Self-congratulations continue upstairs on a floor dedicated to Dyson's reinvention of the hair dryer, the Supersonic. There are a bunch of museum-style exhibits explaining how it works, how it was tested, and just how many prototypes the company built. Here, you'll also find beautification stations that let you test the thing out, with staff on hand to give style tips, or talk about the Supersonic's superior weighting. And if you're not interested in testing or buying a product, you can also simply stop in for your daily dose of "free purified air," courtesy of Dyson's Pure Cool Link purifier-slash-fans.